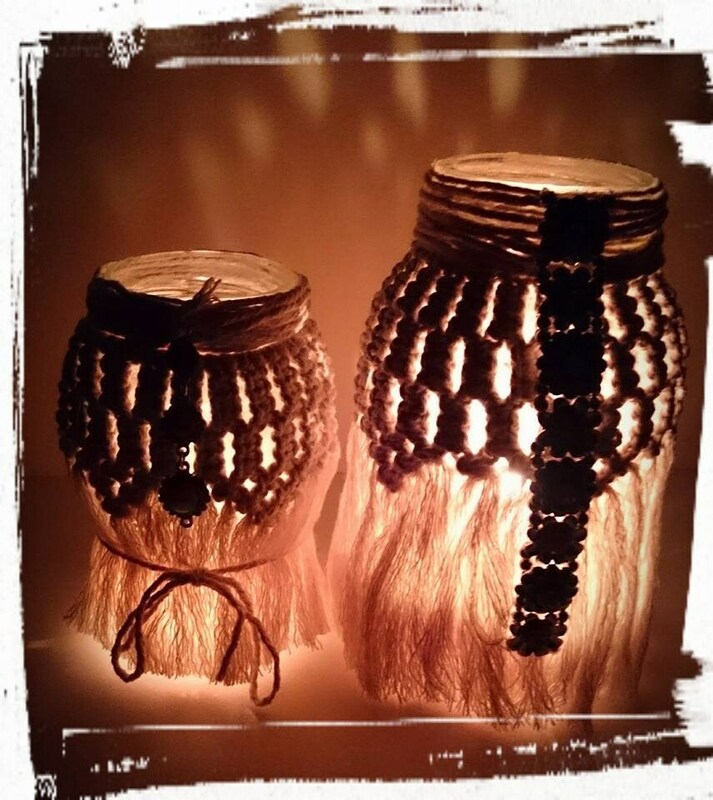 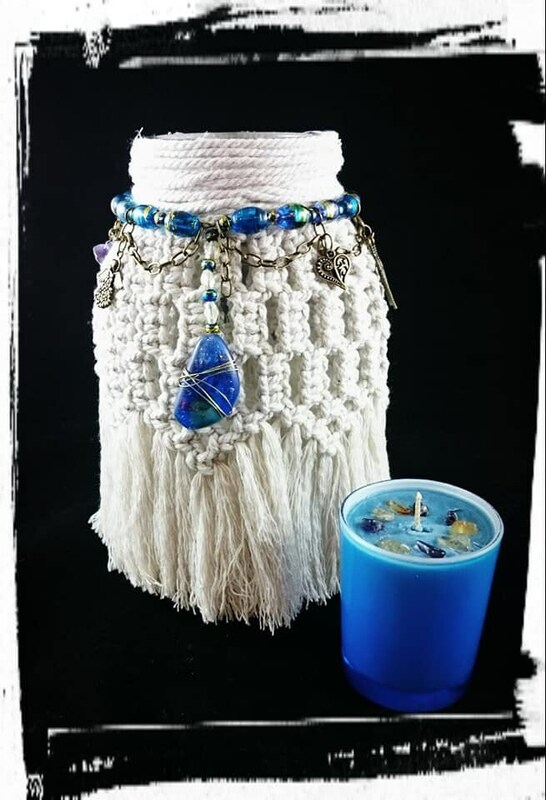 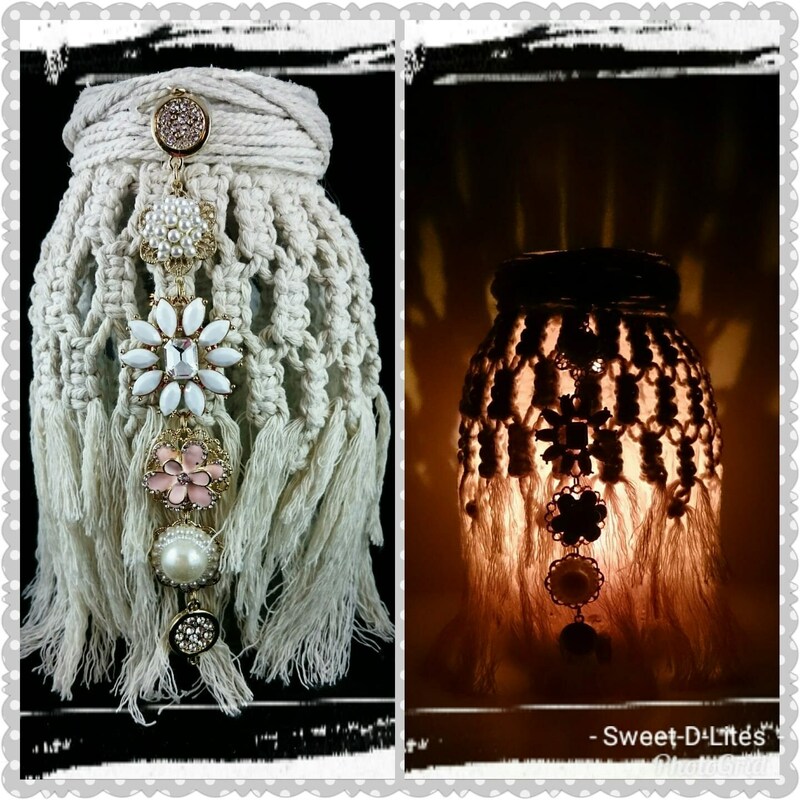 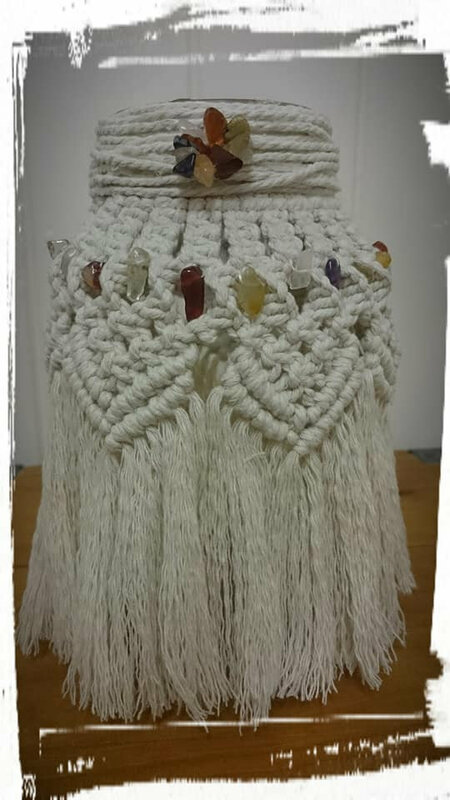 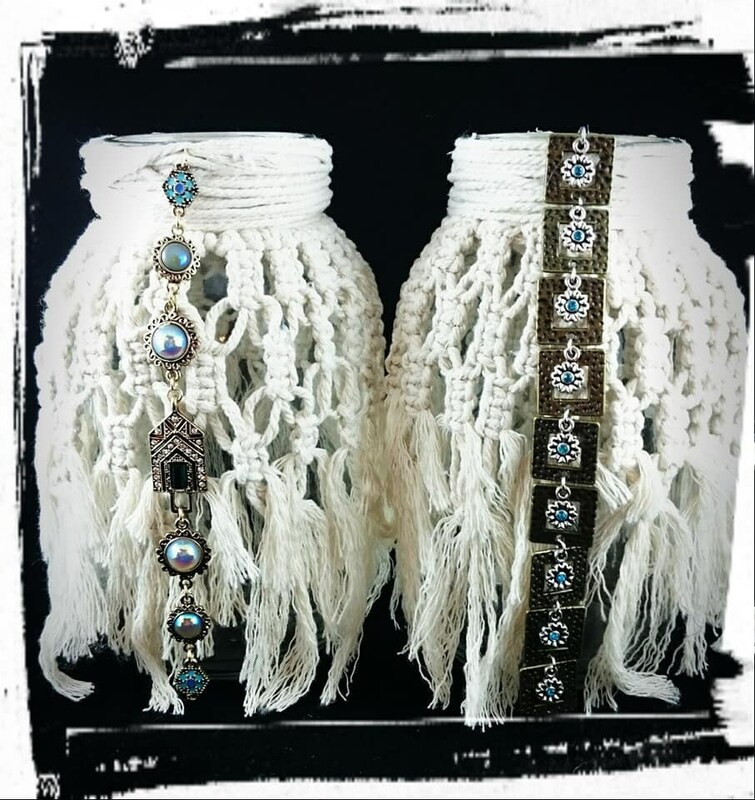 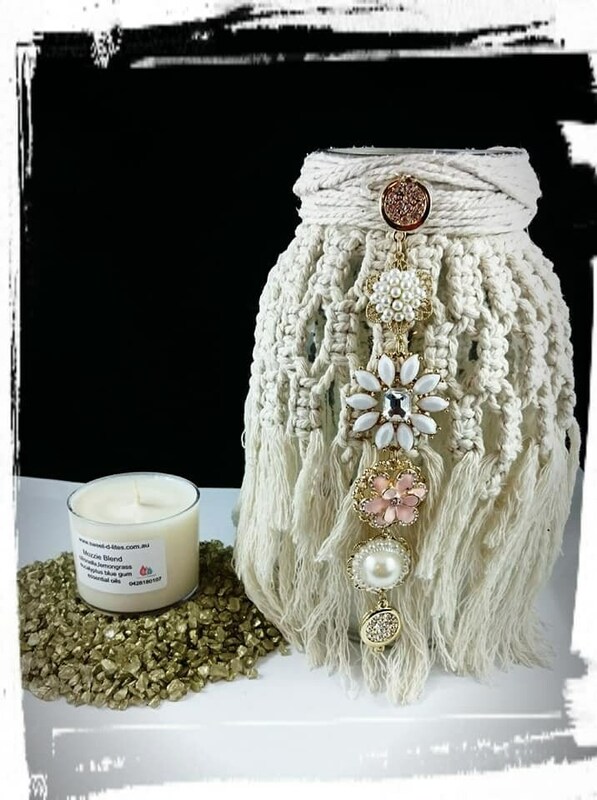 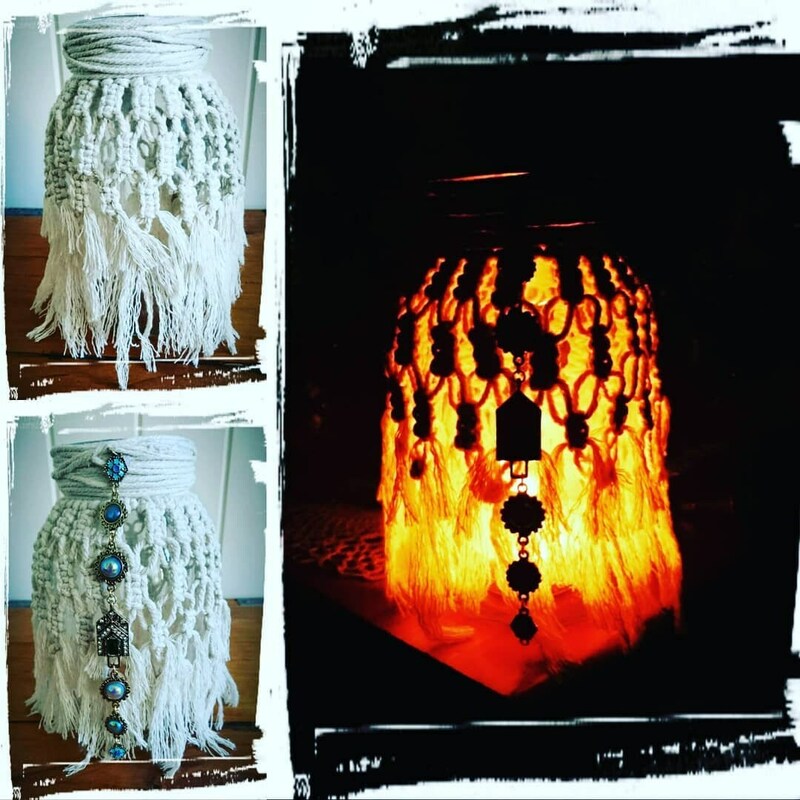 Our handmade Macrame candle wraps one of a kind gifts are made on a plain mason jar, macrame (cotton cord natural), add some Sweet-D-Lites bling. 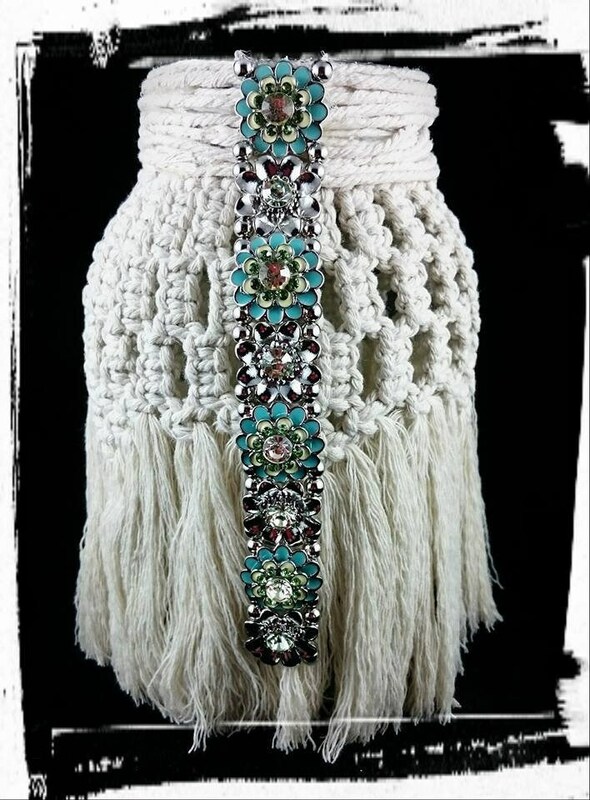 ( embellishment will vary, unless request is made an availability of the same embellishment). 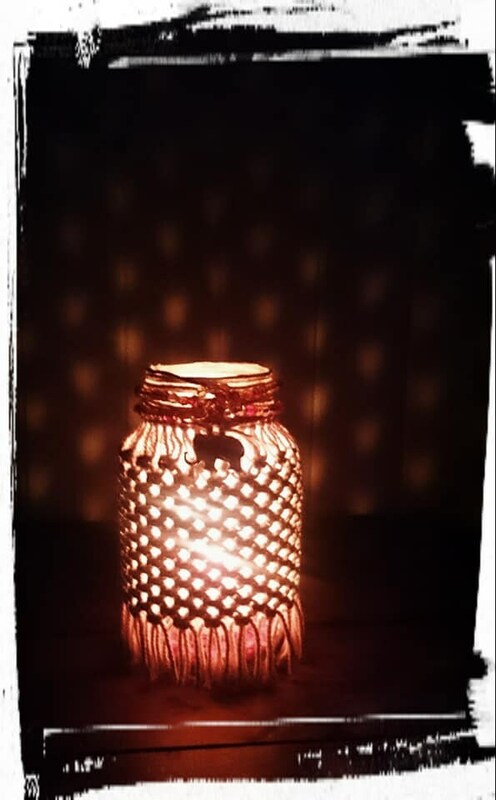 As well as some resting stones and a fragrance spa candle with approx 13 hrs burn time. 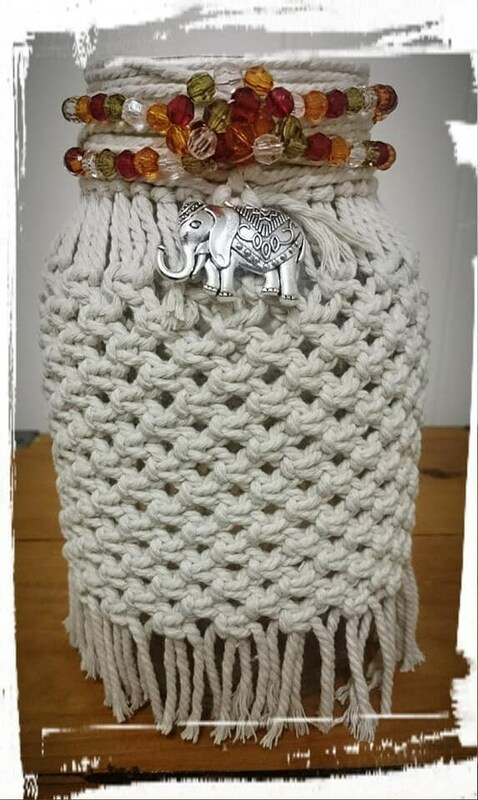 $40 + postage if needed.